If you are an admirer of quilts, you’ll want to check out Modern Quilts: Designs of the New Century by the Modern Quilt Guild. I was really excited to see an advance copy of the book at this year’s Quilt Market, especially since two of my quilts (Cabana and Big Love) are included in the book. This hardcover book contains more than 200 quilts that are beautifully photographed. 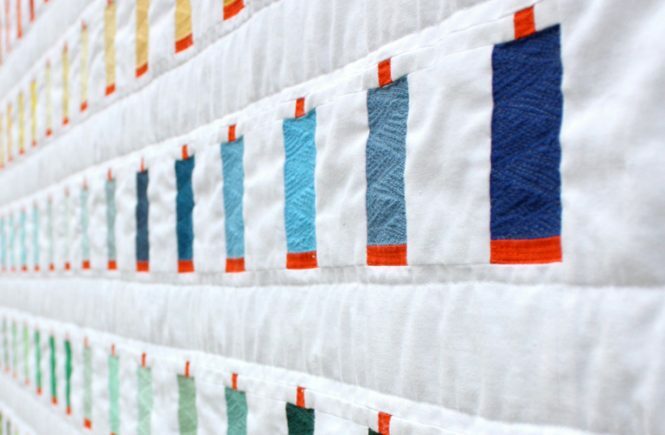 The book honors modern quilts past, present and future. 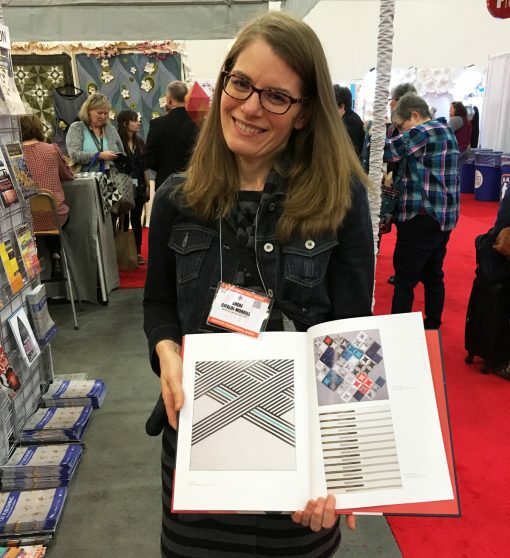 I was super excited to find my Cabana quilt in the Modern Quilts: Designs for the New Century book at the fall Quilt Market! 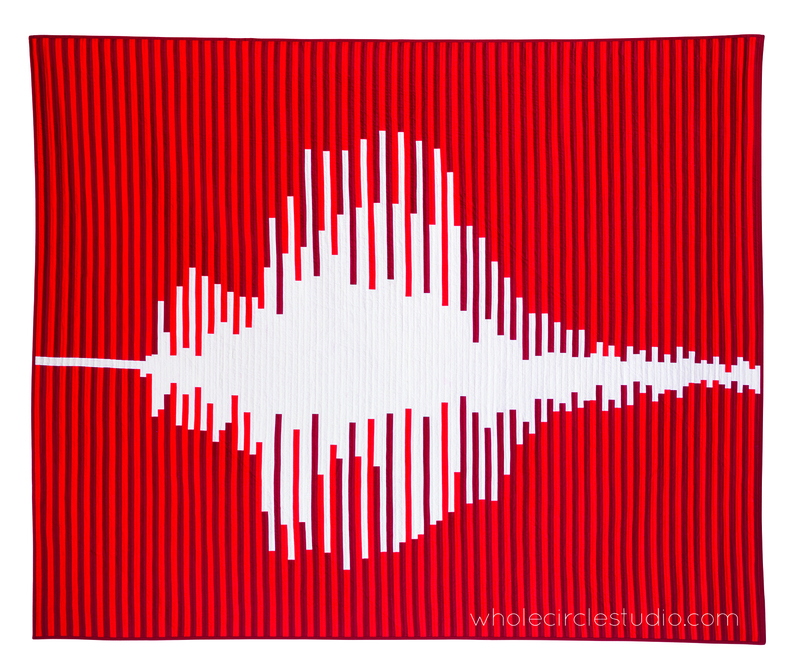 Cabana is a minimalist quilt inspired by striped cabanas at the beach. The quilt is primarily constructed out of 1.5” strips of black, white and aqua fabric (1” after pieced) and was quilted on a domestic machine with a walking foot. Cabana measures 67″ x 70″. 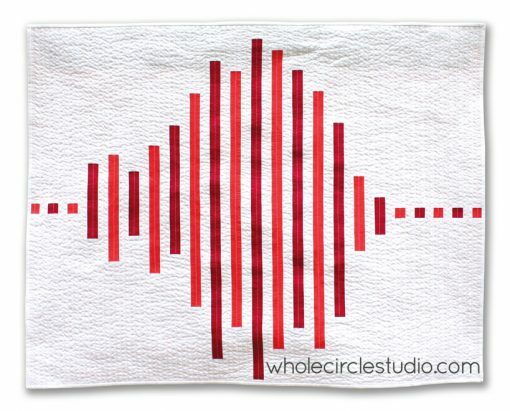 Inspired by frequency waves, Big Love is an abstract interpretation of what the word “love” might sound like. Big Love, measuring 95″ x 78″ (yes it is BIG), is the second version in a series of love frequency wave quilts I have designed and produced. If it wasn’t for an unexpected event, I wouldn’t have made Big Love. 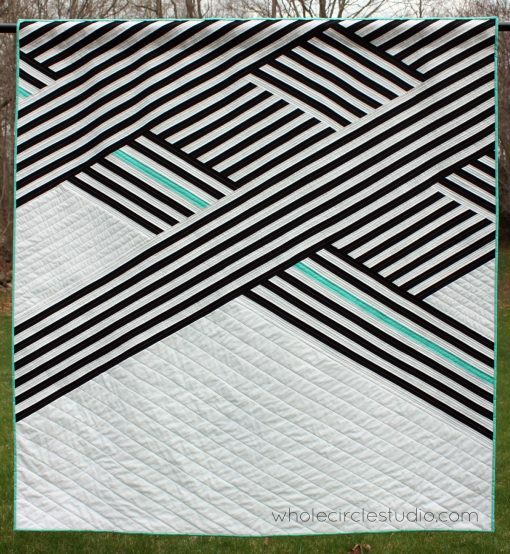 I designed the first version of this quilt way back in 2014. It was small (35″ x 23″) and was called What’s the Frequency, Love? I finished it a couple of days before submissions were due for QuiltCon 2015. I decided to enter it along with a couple of other quilts. This was the first time I ever entered a quilt show (keep reading for an important lesson I learned about entering shows). I was completely surprised when I learned it was juried into the show. 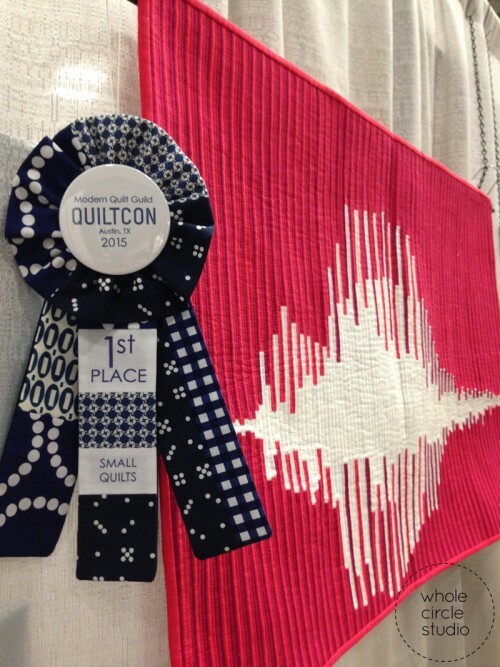 I was completely floored on the first day of QuiltCon 2015 when it won first place in the Small Quilts category. I was truly honored and shocked. Even more shocking—the quilt sold. I was heartbroken at first. The quilt had extreme sentimental value as it was one my first quilts that won a major prize. I got over the anguish knowing it went to someone that really loved it enough to buy it. That made me happy. I also remembered that it was just fabric and I documented the original pattern. I could make it again. I went home from Austin and sized up the pattern to make it, this time three times larger. Tangent: Remember I mentioned that I learned a valuable lesson about entering quilt shows. Pay close attention to the “for sale” section of entry forms. I sold this quilt for $500. This is the value I placed on the quilt when I entered it. To be honest, I didn’t think anyone would ever want to buy a quilt of mine. If I had to do it over again, I would have valued it for the true cost of materials and my labor. Live and learn. 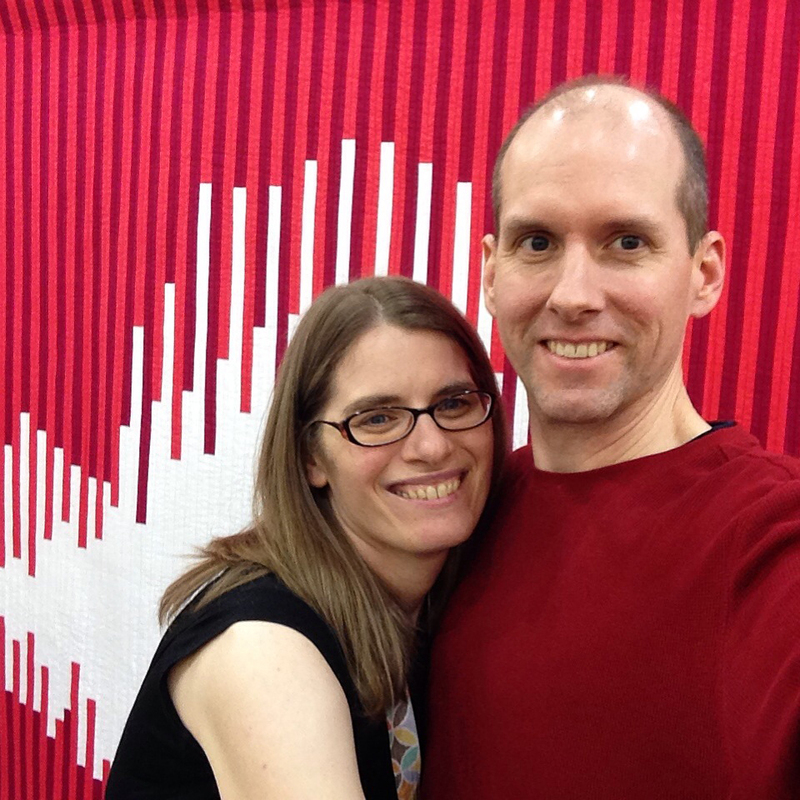 I was particularly excited to have my love, Jason, share in the excitement of seeing Big Love on display at QuiltCon 2016 in Pasadena. I love designing new versions of designs and making new iterations. 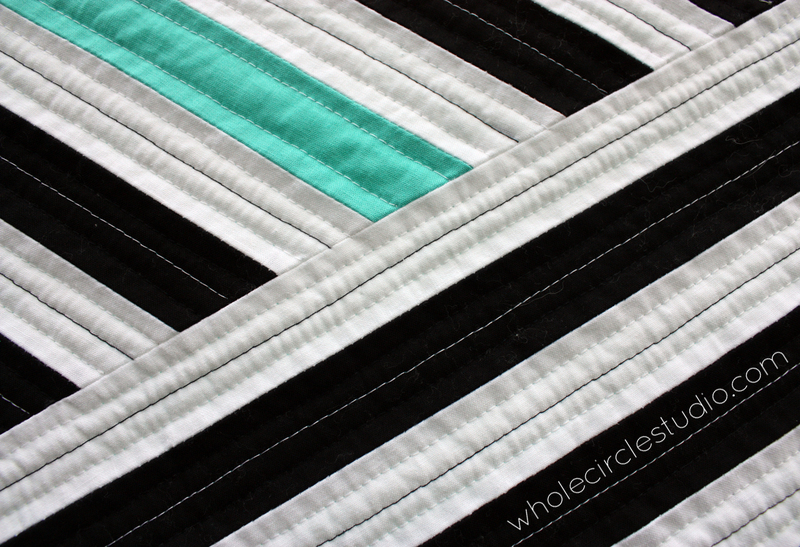 In the spirit of evolution, I created Modern Love, an easy quilt to make and instructions come in three sizes. You can learn more about the quilt and pattern in my online shop. 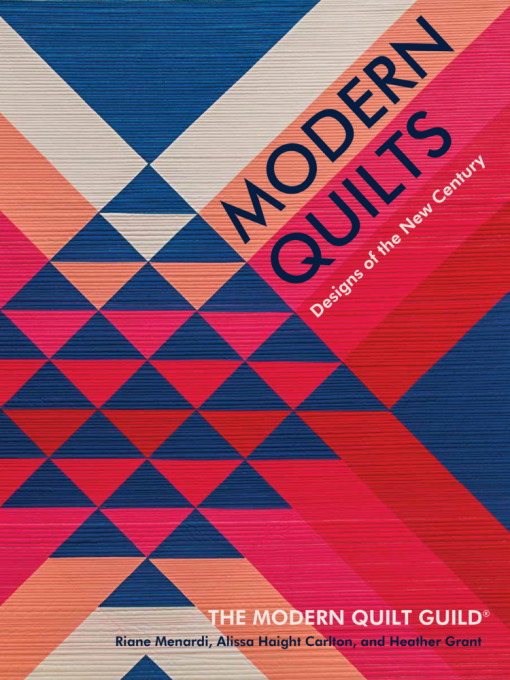 Be sure to check out the book, Modern Quilts: Designs of the New Century to see these quilts and many more. 100% of royalties earned from this book go the Modern Quilt Guild, a non-profit 501(c)3. 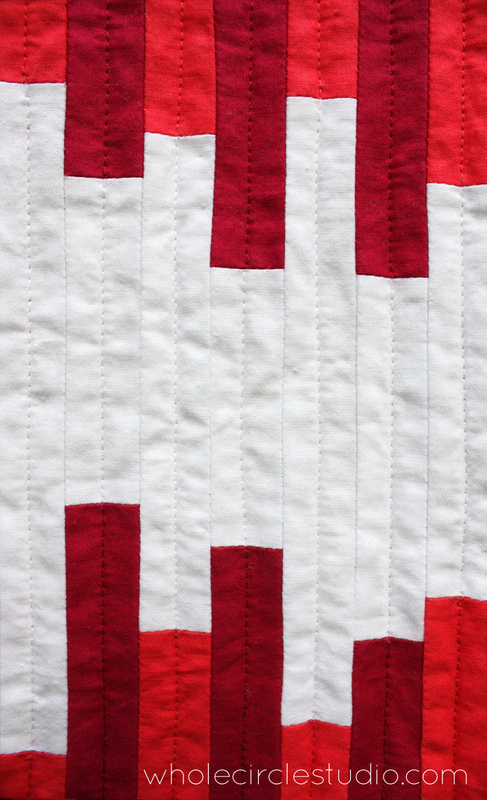 Want a preview of more quilts included in the books? Be sure to visit all of the bloggers on the book tour for lots of inspiration! Thanks for sharing the stories behind your beautiful quilts. I am so excited for th book’s release! The story behind your Big Love quilt has a lot of parallels with my quilt that is in the book. Mine is a remake of a quilt which won a ribbon, and was purchased, at Quiltcon 2013. I had no expectations of either event happening. An award certainly adds to the sentimental value of a quilt, and I no longer offer quilts for sale at judged shows. Hi Ben, Thanks for sharing! I looked up your quilt from QuiltCon 2013. Congratulations! It’s beautiful.